The allegations about the former Sars boss’ role in thwarting investigations have been made by several journalists before. 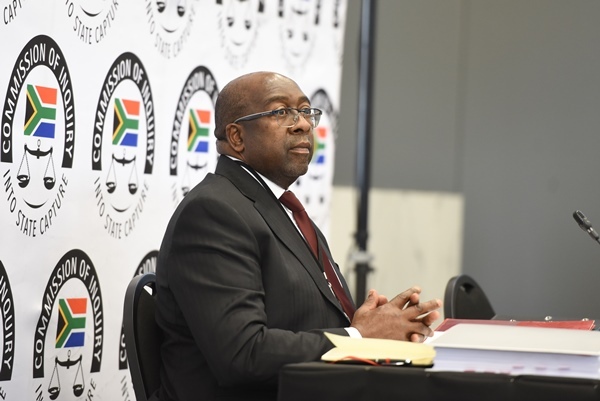 Former finance minister Nhlanhla Nene testified at the Zondo commission of inquiry into state capture on Thursday, where he alleged that then Sars boss Tom Moyane – who has since been sacked – stopped an investigation into alleged tobacco smuggler Adriano Mazzotti. Similar allegations have been made by journalist and The President’s Keepers author Jacques Pauw. During a twar with EFF leader Julius Malema, Pauw alleged as an aside that suspended Sars boss Moyane had made Mazzotti’s R600-million tax bill disappear. Investigative journalist Pauli Van Wyk has also spoken about Moyane’s alleged role in killing the investigation into Mazzotti, most recently after the alleged cigarette smuggler’s assets were attached by Sars due to the massive amount of money he allegedly owed the revenue service. Nene also told the commission that he felt it should look into allegations that Mazzotti funds the EFF. The links between the EFF and Mazzotti are, however, no secret. A feud between Malema and Pauw at the time saw the EFF leader calling on the journalist to delete accusations made on Twitter that Malema had received a loan from Mazzotti to settle his tax bill. Pauw refused, admitting that he had been wrong to say it came from Mazzotti directly, when in fact it came from Mazzotti’s company. Malema admitted to the SABC that he had received a loan from Kyle Philips, another co-owner of CarniLinx. The loan was reportedly worth R1 million. Malema has said he declared the loan to Sars. Malema also confirmed that Mazotti donated R200,000 to the EFF. He said the focus on this by the media and the public had nothing to do with Mazotti, and was instead caused by their detractors’ disappointment that the EFF managed to register and become an official political party. Nene also confirmed the meetings he had with the Guptas at the inquiry on Thursday afternoon. Nene resigned as finance minister in October last year after revelations that he had been dishonest about having met the Guptas in a clip on eNCA which has been widely circulated. “Mr Nene submitted a letter of resignation to me this morning in which he requested that I remove him as finance minister of South Africa,” President Cyril Ramaphosa said at the time. According to the president, Nene felt recent revelations that he had met with the Guptas several times while deputy minister of finance despite earlier denying having done so would “detract from the important task of serving the people of South Africa”.